World-renowned auction house Christie's New York has planned the auction of the world's largest flawless fancy vivid blue diamond. 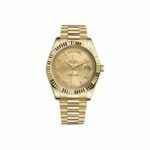 This stunning piece is expected to earn up to 15 million BPS, or more than $25 million USD, when it reaches the jewelry auction block next month. The diamond is known around the world as "The Blue" and is a magnificent 13.22-carat stone. 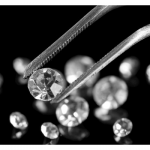 Christie's New York plans to use the diamond to headline their upcoming action, to be held in Geneva. Blue diamonds are extremely rare and make up less than 2 percent of the entire world's diamond production. 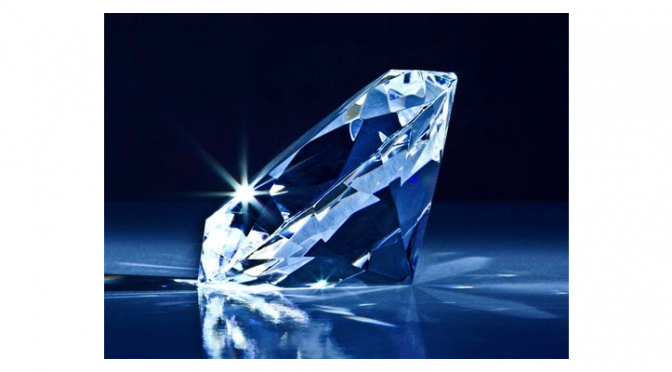 Experts have appraised the diamond and predict it will fetch a grand price between $21 million USD (12.5m BPS) and $25 million (15m BPS). According to the Head of Jewelry for Christie's Americas & Switzerland, Rahul Kadakia, "To have a stone that weighs 13 carat is near impossible. The stone is internally and externally bereft of any imperfections… in simple terms, it's the best blue diamond in the world." Like most blue diamonds, 'The Blue' is thought to have been mined in South Africa. Christie's would not reveal the owner of this rare jewel, simply that it has been in the owner's possession for many years. 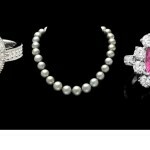 The owner approached the auction house after noticing colored diamonds were becoming increasingly sought after and often fetched record-breaking high bid prices in recent sales. 'The Blue' diamond will be auctioned at the Geneva Magnificent Jewels Sale on May 14 alongside another impressive diamond, "The Ocean Dream." According to Christie's, "The Ocean Dream" is the largest fancy vivid blue-green diamond in the world. The stone is an astonishing 5.5 carats, and the experts with the auction house expect the sale to reach between $7.5 million USD (4.5m BPS) and $10 million USD (6m BPS). Most diamonds of this blue-green hue have been artificially colored in a laboratory, but this breathtaking diamond was colored naturally. Radiation in the Earth caused defects in the atomic structure that gave rise to the blue-green color. The gem's strong hue and large size are highly unusual. The esteemed auction house Sotheby's sold a diamond called the 'Pink Star,' a diamond the size of a plum, in November for a record-breaking $83 million USD (51m BPS). Formerly known as the 'Steinmetz Pink,' the 'Pink Star' weighs 59.60 carat, and is rated in color as Fancy Vivid Pink by the Gemological Institute of America. This stone is the largest known diamond having been rated Vivid Pink. In October last year, Sotheby's sold a "flawless" white diamond for another record-breaking price of close to $32 million USD (19m BPS). That stone weighed 299 carats when it was found in the rough in 2011, and is the largest and most significant diamond of its type graded by the Gemological Institute of America. Sotheby's reported that it was discovered in southern Africa but did not name the country because the seller wished to remain anonymous. 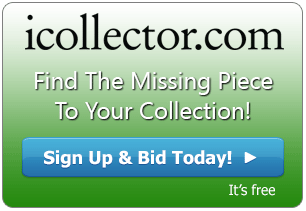 iCollector has a wide variety of online auction for you to take advantage of from your own home. Check back daily for new additions to the roster of exciting upcoming auctions.